The world famous Lanka Podi Jatra began in Daspalla area of Nayagarh district in Odisha on the occasion of Ram Navami, the birthday of Lord Sri Ram. Daspalla looked all decked up to mark the 12-day-long event which is famous for the presentation of ‘Raam Leela’ open pandal. The jatra is considered as the 3rd oldest yatra of its kind after Rath Yatra (Car Festival) and Dola Yatra (Dola Festival). 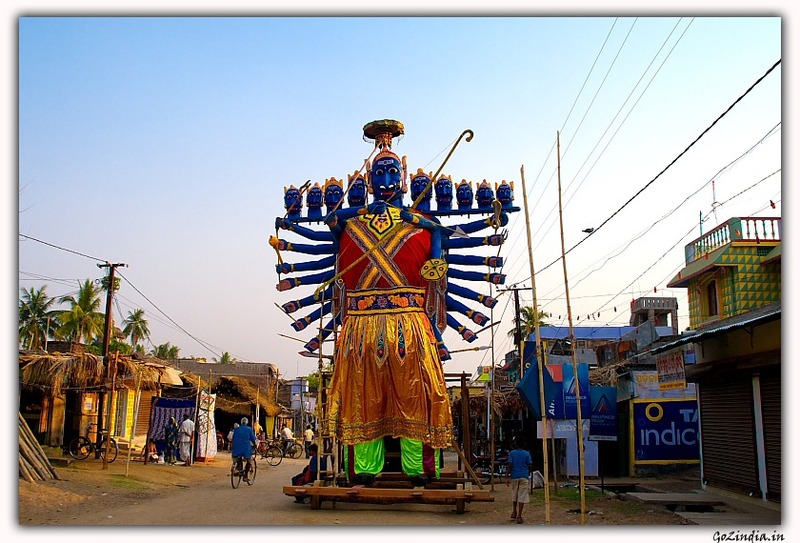 The major attraction of the Jatra that draws people in huge number is a movable 35-feet tall wooden idol of demon king Ravana and his flower carriage. As a part of the celebration, daily one episode of Ramleela will be performed. The Jatra comes to an end on the 12th day with the killing of demon Ravana by Lord Rama.